If you are worried about the heat, you can try to use the T.B. 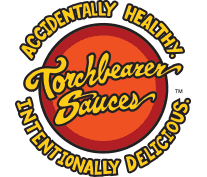 #1 Everyday Sauce™, or the #4 Tingly Sauce™. In a large skillet brown ground beef with peppers, onions, Worcestershire sauce, chili powder, and, of course, 1 heaping tablespoon of #7 Sultry Sauce™. While that is cooking, prepare the beans by mixing them with one heaping tablespoon #7 Sultry Sauce™, and microwaving until hot. Do the same with the nacho cheese sauce. On a large dish or serving platter, build your nachos with layers of chips, beef mix, beans, and nacho cheese. Repeat until you have used all of the ingredients. Spoon the salsa and sour cream over the nachos or serve in separate bowls.